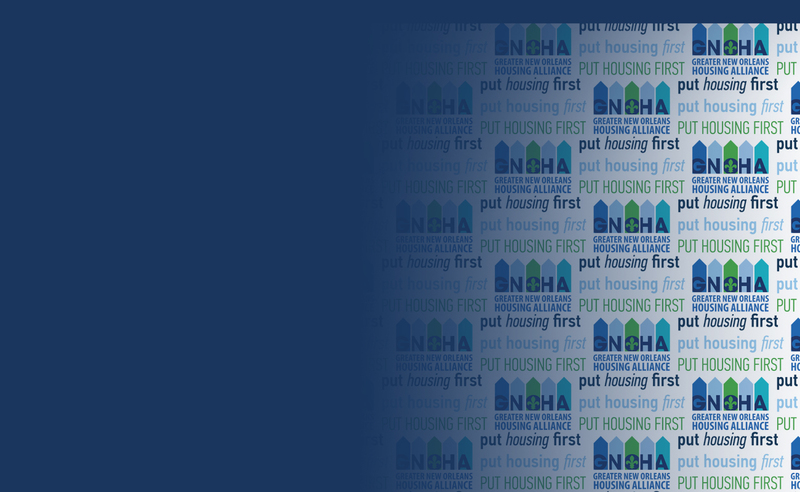 Put Housing First is a campaign to secure the commitment of 80,000 registered voters to support GNOHA advocacy efforts and the implementation of the 10-Year HousingNOLA Plan. Together we will ensure that our leaders will prioritize safe, affordable, healthy housing for all in New Orleans. Click here for more information about Put Housing First and find more detailed plans and ideas about what it will make #PutHousingFirst more than a hashtag at our blog. Help us stay in our neighborhoods and make them better! Help us live close to good jobs! Use our tax dollars to make our communities strong! 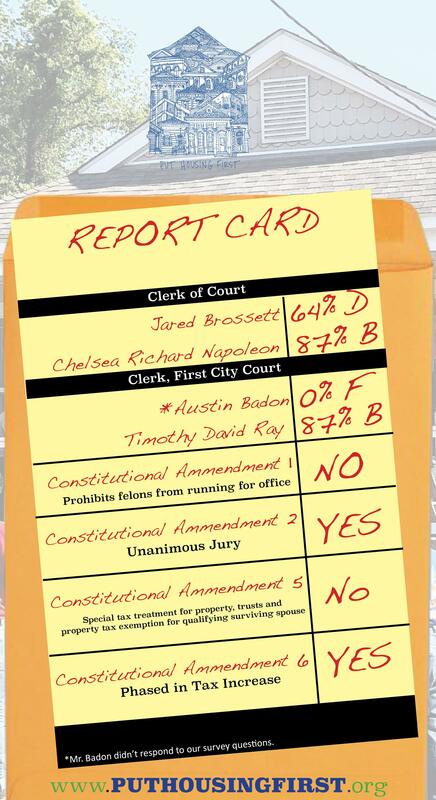 See which candidates #PutHousingFirst from the Candidate Scorecard! If you'd like to see the full breakdown of the Scorecard, click here. Click here to see which candidates #PutHousingFirst from the GNOHA Scorecard! If you'd like to see the full breakdown of the Scorecard, click here. Check back in the coming months to follow our efforts to ensure that housing is a priority in the upcoming elections including the March 24, 2018 legislative election and the fall congressional races! By providing my contact information, I understand that GNOHA and its affiliates may use email, automated calling technologies and/or text message me on my cellular phone on a periodic basis. GNOHA will never charge for text message alerts. Carrier message and data rates may apply to such alerts. Click here for the Put Housing First 2017 Platform and you can find a full list of questions for mayoral candidates can be seen here, for City Council candidates here, and for Assessor here. Click here to see the results of our Second Candidate Scorecard ranking the run-off candidates for this upcoming election. If you'd like to see the full breakdown of the Scorecard, click here.